Creeping. Not what this post is about. Haha - sorry if that let's you down, but I have a different type of new neighbour. As you may have read in an older post with a summer recap - the office of Chris Gardiner Photography has moved - with it - I've got new neighbours. 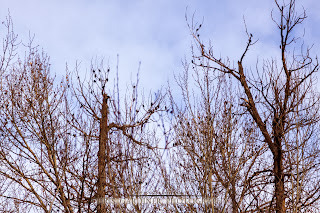 A pair of bald eagles that have a nest less than a block from where I live. With that kind of guarantee of wildlife sighting, I've thought about investing in my 500mm lens finally. Once the leaves fall, it makes them and their nests much easier to spot, to which I owe much of my success in spotting them. 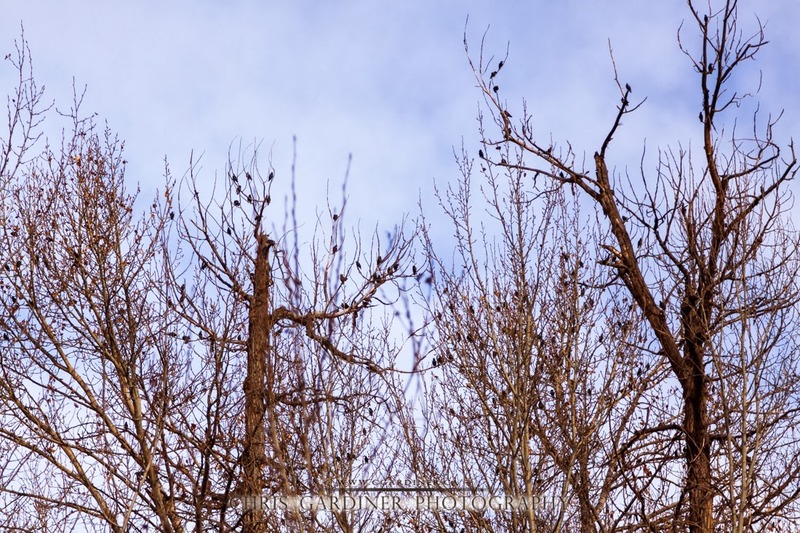 We have one of the highest concentrations of birds of prey here in the Okanagan but there is also loads of seldom-explored terrain for them to hide in. Capturing wildlife photos is a little bit like hunting for real, its as much about stalking, as it is aiming and capturing at the right moment. For a few tips on capturing your own wildlife photos ; I like to boost my ISO when necessary, I want fast shutter speeds to freeze any motion they may make, from taking flight from a tree, to a simple turn of the head. 1/1000sec or better, especially when you are shooting fully racked out with a zoom, a small vibration can destroy a lot of pixels. Don't chance it, just boost the ISO. Unless there is loads of extra light kicking around, I'll leave my aperture pretty open, maybe a stop or two tighter than full wide - your depth of field will be a little shallower, so it puts more pressure on nailing focus, but it gives you a little extra shutter speed, and when executed well, a nice separation from the background. 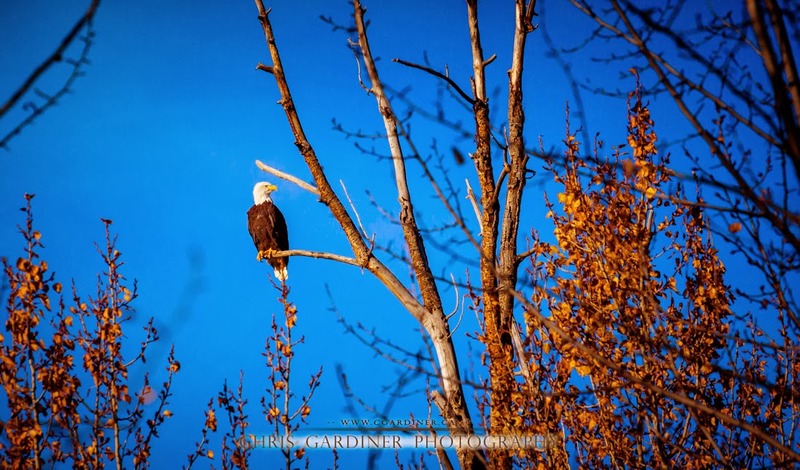 You can also take a look at this post, where I used the bald eagles in the tree to demonstrate a challenging situation for your camera's autofocus. 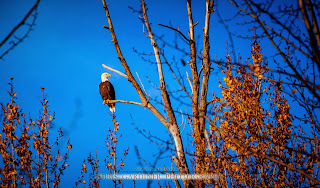 A bald eagle soars out of it's perch in the trees. A challenging focus situation, as I talked about in a previous post.